A generation of people around the world, from Boston to Bangkok, from New York to New Delhi, are making everyday choices in ways that defy traditional logic. They are judging where and how their clothes were made, not just how they fit. They are thinking global but buying local. They are spending their money and their time, forming loyalties, casting votes and even enjoying entertainment based increasingly upon their desire to make a positive impact on others and the world around them. This new generation believes they can and must make the world better, and they expect business and government to get with the program. The implications of the Conscience Economy are not "soft." Ignore it, and your consumer or voter base will rebel, using a host of free tools and cheap connectivity to spread their rejection to peers around the world in real time. Leverage it, and Conscience Culture is a wellspring of financial upside. The Conscience Economy is the must-read guide to this unprecedented shift in human motivation and behavior. Author Steven Overman, Chief Marketing Officer for Kodak, provides context, inspiration and some basic tools to help readers reframe how they evolve and grow whatever it is they lead--whether it's a community, a business, a product, or a marketing campaign. 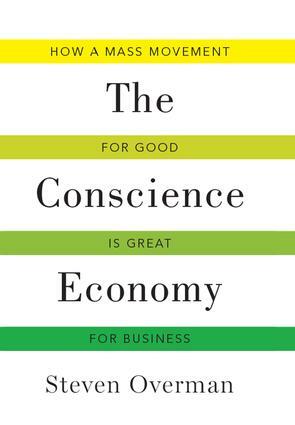 From the boardroom to the startup loft, from the State Department to the pulsing marketplaces of the developing world, The Conscience Economy will help international leaders, influencers, investors and decision-makers to manage, innovate and thrive in a new world where "doing good" matters as much as "doing well."